The Mercedes-Benz E-Class wagon is a pricey luxury wagon that appeals to a select few. Unlike the E-Class sedan, the wagon line includes just two models. The E350 4MATIC has a 3.5l V6 under the hood, and the 4Matic system provides traction via all four wheels. 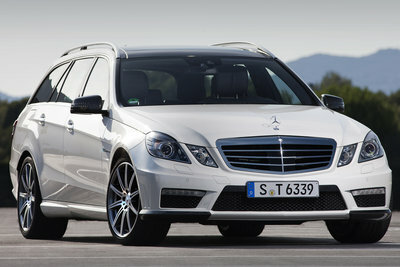 The ultimate sleeper car is the E63 AMG wagon which has a hand-built 5.5l V8 rated at 518-bhp. Leatherette upholstery is standard, but heated leather seats are available as options. Like the station wagons of years past, the five-passenger E350 has a rear facing jump seat that can seat two additional children in the cargo area. An updated telematics system becomes standard equipment.